I posted a shortened EP release of 'Annadata' [review] way back in 2007 and liked it enough to want to hear more. It took me a while to find the full length version; it was however worth waiting for. 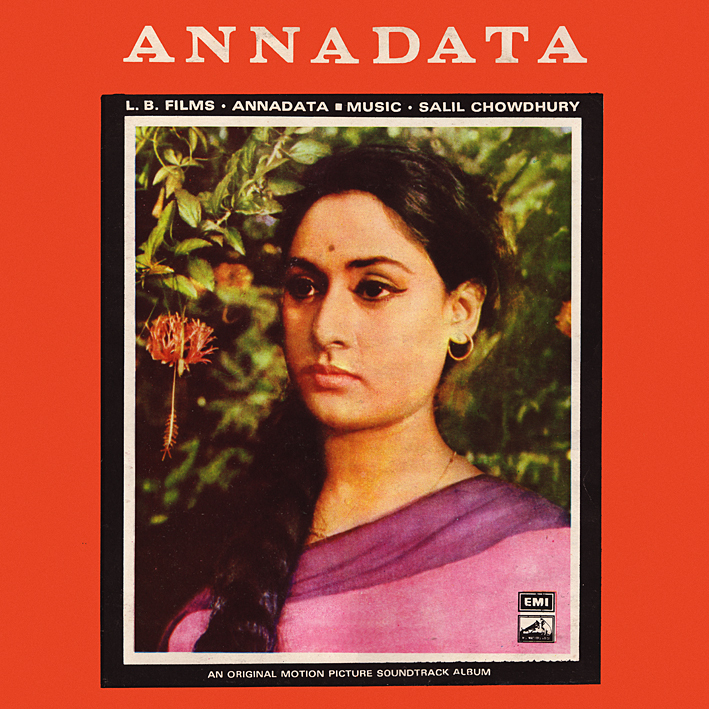 The early 1970s was obviously a time of much innovation and experimentation in Indian film music, yet Salil Chowdhury belonged to an older school; of simple melodies, elegantly arranged. The pretty 'Raton Ke Saye', the cheerful 'Champavati Aja' and the joyous 'Guzar Jaye Din' combine classic songwriting with a warm and unaffected sound. Without the sonic gymnistics of Chowdhury’s colleagues they still seem modern; in a strange but very appealing way they remind me of Western easy pop and soft rock of the same period. The smooth-flowing, meditative (almost trippy) 'Yahan Ab Kya Rahna' is another understated gem. This really is a lovely and highly recommended soundtrack. this is undoubtedly one of the most beautiful Salil Chowdhury soundtracks. every song is a gem. beautiful blends of western harmony and indian tunes..
Amazing share... Thanks a lot..